We are looking for an enthusiastic and highly motivated part-time band 3 Therapy Support Worker to join our acute therapy team here at The Princess Royal Hospital in Telford. The post is full time at 37.5 hours per week. 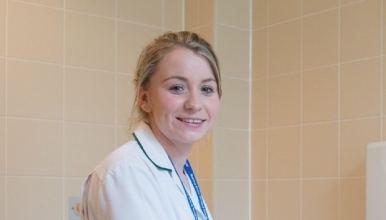 The successful candidate must have experience of working within therapies and will be working across our inpatient medical and orthopaedic wards completing assessments of patients function to determine discharge planning with guidance from qualified therapists. The role will also involve completion of home visits together with a qualified Occupational Therapist to assess patients within their own home and access visits to deliver, fit and check equipment which will often involve lone working. The role forms part of a team of generic support workers who currently work between the occupational therapy and physiotherapy teams. Holding a full UK driving licence and being a current car driver is essential. We are looking for someone who is flexible, has good time management skills, and works well independently as well as within a team. We have strong links with our MDT colleagues and joint working is often key in much of our practice. We are a friendly, forward-thinking team working in a fast-paced rewarding environment. High-quality patient care is at the forefront of our decision making and we are enthusiastic about welcoming new ideas and staff development. The Therapy department are working towards being at the forefront of innovation in leading the way by undertaking development and service evaluation utilising the Virginia Mason Institute (VMI) methodology in Lean practices as the Trust are one of only 5 Trusts in England to be affiliated with the VMI based in Seattle, USA. We are delighted to be able to offer patients the opportunity of assessment by the Therapy team for discharge over the weekend and Bank Holidays and this post holder would be expected to participate in the 7-day working rota. This will involve working a full day at a weekend as part of the departmental rota. We would welcome any interested persons contacting the department for a discussion or to arrange a visit prior to applying/ interview if shortlisted.